Are there really any parts of the South of France unspoilt by the tourist trade? 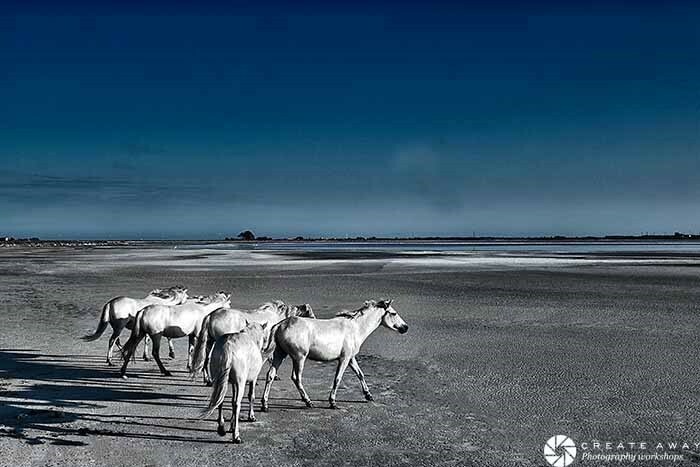 Serge Krouglikoff tells us the truth about the ‘real’ Camargue, the beauty of the unseen private domains far from public view and the fiercely protective locals, unwilling to share the land of their ancestors. 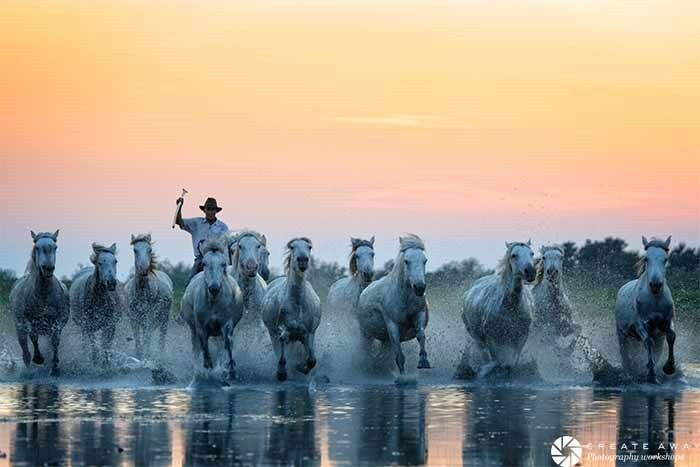 So I set off at 5am one morning and headed out – beautiful light – hoping for some stunning landscapes – sneaking under barbed wire and along hidden paths it seems took me right into the heart of the Camargue, far from the view of any tourists or even photographers ‘in the know’! Along the way, I stumbled upon a lone Gardian (Camargue cowboy) silhouetted against the rising sun, on horseback, trident in hand, with his herd of Wild White Horses – we exchange a few words – his passion – my passion – to him seemingly unlinked – a horseman, a horse lover & breeder (our horse whisperer) – and by breakfast time, this ‘wild’ and ‘untamed’ local became interested in showing the world the real Camargue culture, unspoilt and raw – and this is where it all began. 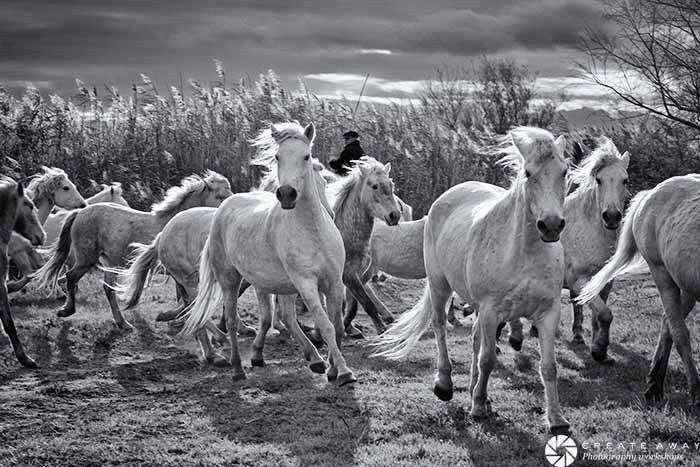 Create Away is the only photography workshop company actually based in the Camargue. 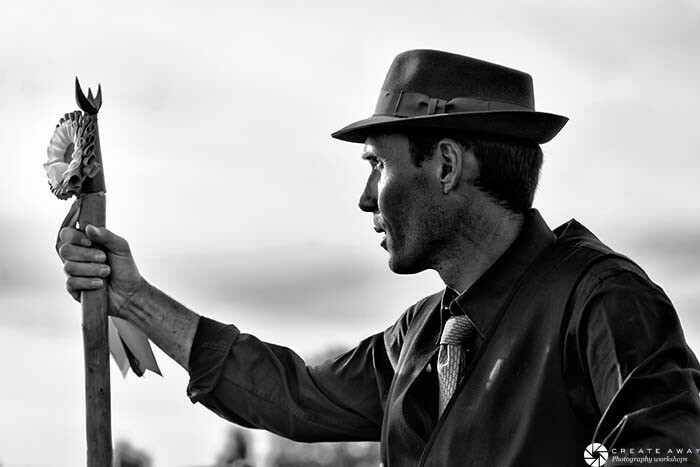 Relationships like the uncanny ‘rencontre’ with the Gardian early one morning – don’t usually happen – we are here – onsite – working with the locals and this is the privilege that we offer the amateurs and professionals who want to join our workshops – something off the beaten track, behind the scenes and as ‘real’ as it can be.